Federal ocean managers say it might be time to move the East Coast population of the world’s largest turtle from the United States’ list of endangered animals. 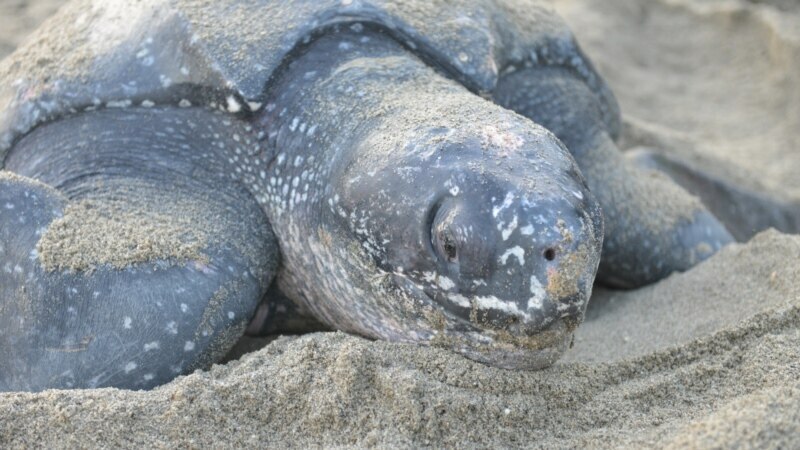 An arm of the National Oceanic and Atmospheric Administration has received a petition from a fishing group asking that the Northwest Atlantic Ocean’s leatherback sea turtles be listed as “threatened,” but not endangered, under the Endangered Species Act. The giant reptiles, which can weigh 2,000 pounds, would remain protected under federal law, but their status would be moved down a notch.